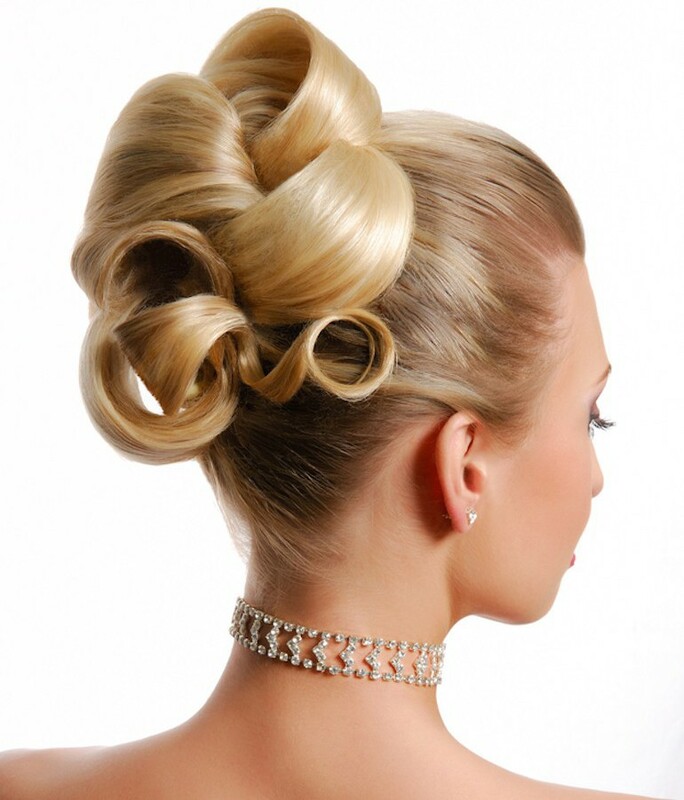 If you think, that an event is not a good event without a pinned updo, so, you think in the right way. We’re thinking the same! You want something special for a party, but you’re bored by the common styling like bun or chignon? You’re worrying about the length of your hair? Let it be our problem, what means, that there is no problem for our professional all-round team! We are creative in choosing the pinned updo, especially for your individual type. If you have a short cut, so we have the possibility to apply a hairpiece, which will be practically like your own hair and which let you marvel. Sure, we are unexclusive in pinned updos, as we like the classical styling, as well we love it to try some new trends. Come in our studio and take an advice from our stylists in your unique pinned updo and maybe in the suitable make-up. Of course we offer a trial session! In the life of each happy woman, there must be the one particular day, when she let make her the ultimate wedding hairdo! The hairdo will be chosen like the pinned updo especially for you. It will be styled type-specific and decorated with accessories like blossoms, pearls or – what about – a tiara which will be common with them on your bride dress. Everything will be perfectly applied in your wedding hairdo, so you can enjoy the most important day of your life the whole time, without any worries about the details in your hair. We are your stylists and we guarantee that you’ll get the most satisfying result, which you can imagine and which amaze your guests! If you trust us this important part of your wedding, we can promise, that we do everything to make you happy!